Civil Litigation Attorneys, Phoenix, Arizona | Platt & Westby, P.C. Platt & Westby, P.C. has been practicing in the area of civil litigation for over 40 years. We speak with people frequently who have been wronged and are searching for justice. We learn the facts of each case and suggest options that may be of help. A lawsuit is often an option, but is not always our preferred option. This is because a lawsuit may not be the appropriate tool to address the wrong. If used unwisely, a lawsuit can make matters worse, not better. Is there a solid legal basis for the claim? Are there facts and witnesses to support the claim? What are the damages? Are they sufficient to make the process worthwhile for the client? If the case is won, can an award of attorney’s fees be obtained? What is the financial status of the defendant? If a judgment is obtained, how can it be collected? Is a bankruptcy likely? Can the client afford the cost of litigation? Can the client afford a loss if this occurs? Can the client handle the stress of litigation and “stay the course”? When all things are considered, is filing suit the right action to take and is it in the best interest of the client? Every case is unique and is determined on its own facts and merits. This means that even where the facts and legal issues are similar to those of another person’s case, the outcome can be completely different. This is why good cases are sometimes not won and bad cases can, sometimes, prevail. Litigation is always a gamble. No guarantees can be given. That is why it is critically important to discuss all the facts, even those facts that may be harmful, with your attorney before a decision to litigate is made. A lawsuit is expensive and stressful. Where appropriate, litigation should be avoided and other dispute resolution options considered. At Platt & Westby, P.C., litigation is rarely our first choice, but sometimes it is unavoidable. When faced with litigation, it is important to partner with an attorney who is experienced, who will give you honest advice concerning the merits of your case, and who will aggressively protect your rights. Your Platt & Westby, P.C. litigation attorney will make the process as easy as possible by explaining the proceeding as it unfolds, by partnering with you in discovering important facts, developing and communicating an effective strategy and by keeping you informed of all significant developments. Our attorneys consider the relationship with our client as the most important element of the case and will place that relationship before all other considerations. Platt & Westby, P.C.’s experienced litigation attorneys will minimize your risk and maximize your chances for a favorable outcome. Recent Civil Litigation Articles by Platt & Westby, P.C. 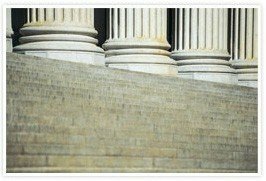 If you have a civil litigation question, contact us.